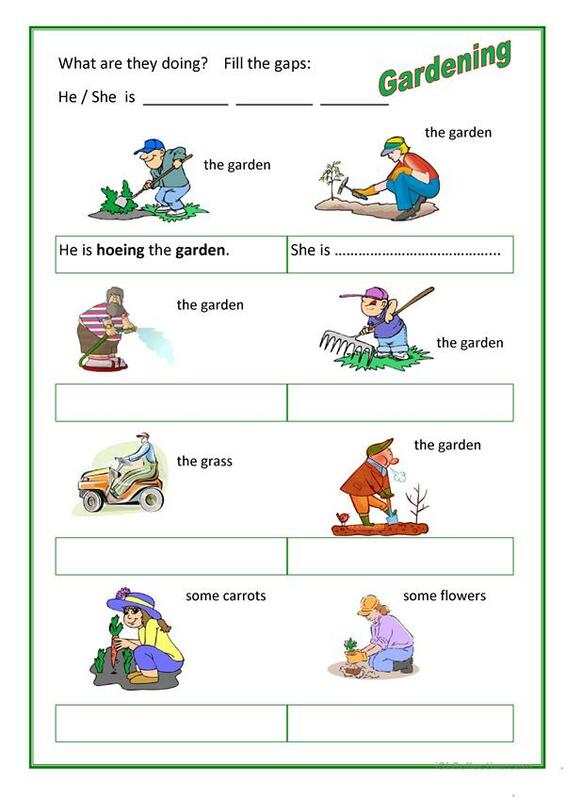 Guided exercise to form sentences using action words learned in Gardening Part 1. This downloadable teaching material is a great resource for at Elementary (A1) level. It is aimed at consolidating Present continuous (progressive) tense in English, and is a valuable material for strengthening your class' Writing skills. It centers around the vocabulary topic of Home.